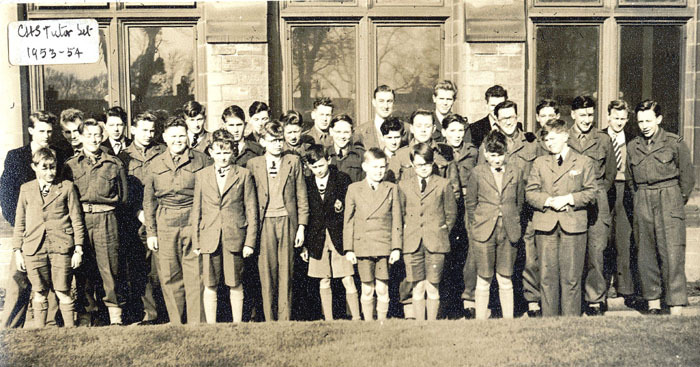 Last time I showed you some more of the photographs left to us by the Reverend Charles Stephens, a keen photographer who captured many aspects of the High School, both boys, buildings and activities. 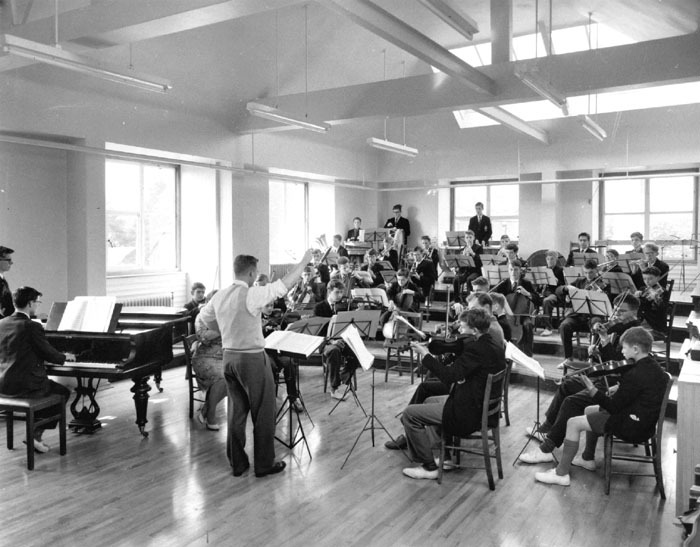 Some of the most striking ones were taken in early 1960 when the new block on the northern side of the West Quadrangle was opened. Yes, it’s an absolutely great idea which gives you a much better chance of remembering people. 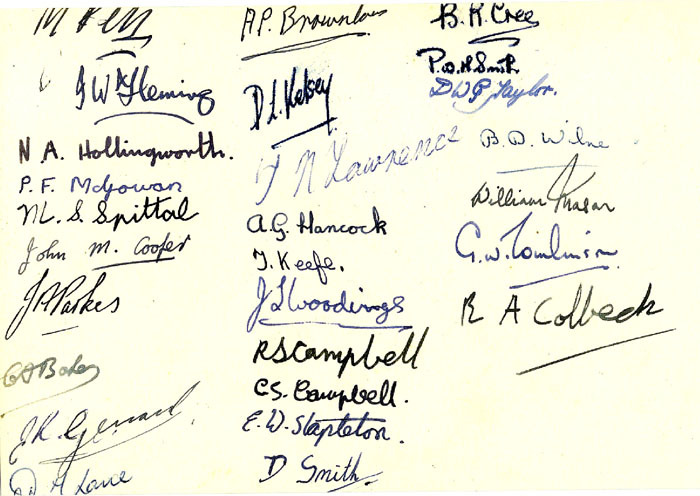 It’s interesting that the signatures are all in ink, possibly from fountain pens or even the inkwells on the desks. I remember that the school that I went t had a highly polished floor in the main hall. Everywhere else was tiled (I think) except for the Headmasters office which was carpeted. I know it was carpetied because I had several opportunities to inspect it whilst receiving a punishment caning. I don’t think many schools had carpets back in the day. This was, I think, for ease of cleaning, given that there were always lots of boys who brought sandwiches for lunch and no matter how many times they were told, some of them would always try to eat them in their form rooms rather than walk to the dining hall. Nowadays the High School has carpets everywhere which are hoovered every evening after school. I look forward to reading one of your blog posts about your life as a criminal. All I ever managed was lots of lines for making smart Alec comments at inopportune moments! I love old photos of the culture of schools, the architecture, the expressions of faces, etc. A boarding school sounds challenging and scary. I can’t imagine what it must have been like. This was just a day school which means that all the boys went home at 4.00pm. although that may have been quite a distance. Boarding schools at the time could be very challenging and scary with some very dreadful things going on. If I remember rightly, Donald Strurrock’s “Storyteller: The Life of Roald Dahl” contains at least one chapter on his experiences at boarding school. I think Chas must have airbrushed the photo of the gym. Anyone ever foolish enough to forget their gym kit will recall the wooden crate that lurked on the stage. Full of the ripest, mankiest selection of left plimsoles and monster shorts known to boykind. Happy memories of HVW who, as a pioneer of English rugby in the 60s and 70s, might I suggest, be worthy of a post in his own right. I don’t know anything about CHS’s techniques with developing his pictures, but I would be very surprised if he had done anything to alter the original photograph. I note with interest the boys in uniform. Did all schools have a Cadet Corp back then? The biggest and best public schools had had what were then called Officer Training Corps since the days of the Boer War. Lesser schools often started them in imitation of their perceived betters, a process which went on for decades. 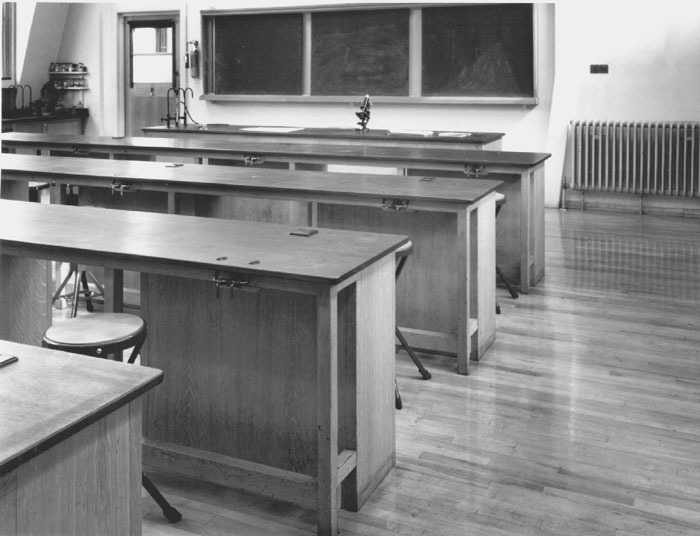 The OTC in the High School began around 1905 based on three things. The availability of young staff to run it, boys who wanted to attend and above all, a patriotic desire to improve on a pretty miserable showing in the Boer War, although, of course, the Boers always cheated by wearing camouflaged clothes and knowing what they were doing. Knowing what you are doing usually beats arrogance and out of date tactics. Those photos really take me back to times I had almost forgotten! White plimsoles (I always seemed to be adding Whitener) are a thing of the past and that gym layout could have been taken directly from my own school! They were the days! 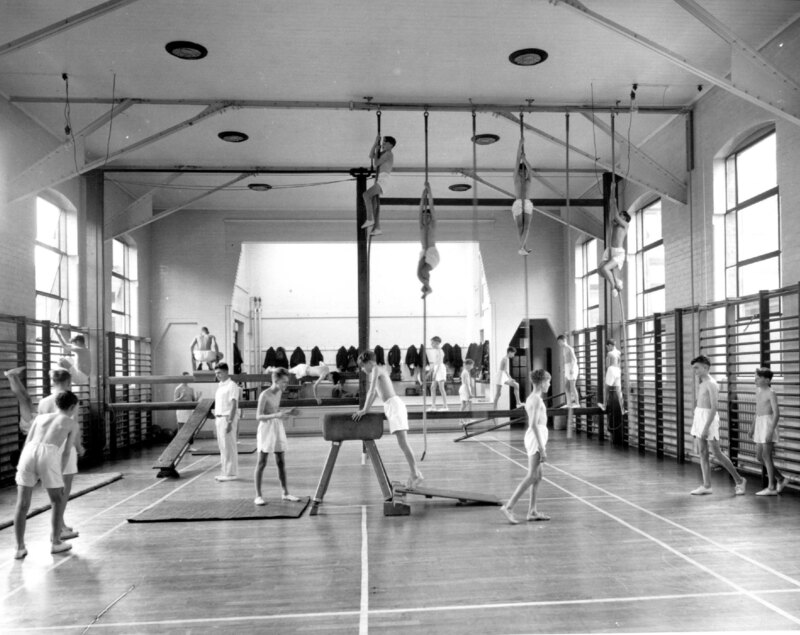 I must admit that I used to dread lessons in the gym because I had this ridiculous idea that falling from the wall bars or a rope ten feet onto a wooden floor was dangerous. How silly! One lesson though, legend has it, two boys both fell off and broke an arm. One left, one right. In actual fact, it has been noticeable over my own teaching career that the gym has gradually been used less and less for climbing and such activities, and people now tend to play ball games in there. Much safer! I’m glad you enjoyed it. I think this gentleman, Charles Stephens, was as close as the Church of England got to the “holy men” of religions such as Hinduism and Buddhism. All the boys realised that he was worthy of their respect, such was his manner with them. And he was naturally kind, which is always a good thing to be.